A lot can happen in a month or so and this is magnified in the Overwatch League. After a 5-5 stage three, the Spitfire took an internal review and decided that that the previous vision of a twelve man roster wasn't working out and they trimmed it to seven. One of the remaining seven players is shot calling support and Lucio god Won-Sik "Closer" Jung. 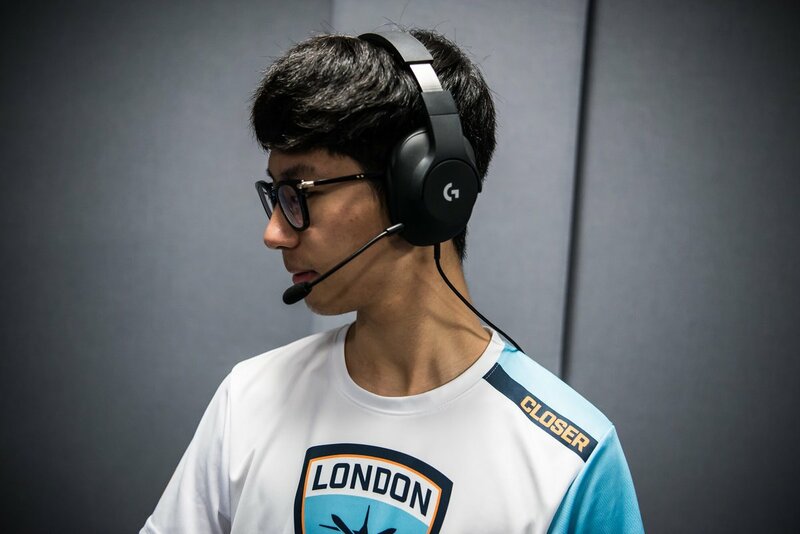 Closer started his professional Overwatch career in the Korean challenger scene with MVP Space, playing in APEX Season three and then moving to GC Busan and become apart of the Royal Road winning Season four champions. Aces High is a series that attempts to connect the London Spitfire to the fans by providing information and interviews from the team so that you can get to know who they are that little bit further. This is this episode of Aces High which has been and will be running throughout the season. If you want to read any of the previous interviews, then follow the Aces High link for more content. Hi Closer, thank you for answering a few questions. We’re already into the last stage of the first season of OWL. What’s been the best experience you’ve had both on and off stage? Gameplay wise, I was surprised by the fast growth of the Western teams. I think it was unexpected by many that they would become highly contending teams, but it seems that since the individuals are talented and everyone practices against each other, the teams improve very quickly. Outside of gameplay, I really like the food here, especially In-n-Out. We're also living in a house that I never would have dreamed I'd be able to live in. I've always wanted to be able to live in a house with a pool and two stories, and having been given this opportunity, it feels like a dream. How do you feel that the inclusion of Brigitte in stage four effects the meta and the way you approach it as a support? The inclusion of Brigitte allowed for a variety of comps to become meta, and many teams that have been relying on talented Tracers will have a rough time this stage. How are you feeling about the rest of the season. With both NYXL and Houston games played, are you confident going forward and in securing a playoff spot? I think we are continuously improving at the moment, and therefore would not have that many issues securing a playoff spot. Coming into OWL you had a reputation of being one of the best Lucio’s in the league. How would you describe your play style, was it influenced by anyone and is it true that you’re ability to track opponents ultimate's is within 5%? When I'm playing Lucio, I like to cover for my subhealer over dealing damage, and focus on hindering enemy DPS such as Genji and Tracer, playing more defensively than offensively. As for ultimate tracking, I think I was very good at tracking ultimates prior to the meta change, perhaps even closer than 5%. With the current meta shifts, I am still getting used to and learning the discrepancies for ult charges. We know how good you are at playing Lucio and Mercy. However, is there any other hero you’d love to learn to as high a level? I'd love to be able to play Ana at a high level. I want to be able to use her skills more efficiently and position myself better. Its All-Star Weekend and you’ve been selected to take part in a 3v3 Lucioball game who would you pick for your team and why? Neptuno and Tobi. I think these two are great at playing an aggressive Lucio. In a previous interview, Susie told me she would select you to help coach her to climb up the ladder. What advise would you give to her or anyone else on was to improve? Use your mic! Voice communication is extremely important if you want to climb the ladder. Also try to be flexible with your picks to accommodate for your teammates' picks. Finally. I’m looking to get a Spitfire home jersey, give me a few reasons to buy yours? My number and game tag look great on the jersey, and anyone should be able to play Lucio with confidence if they're wearing my jersey. I'd like to thank Closer for taking the time to speak with me and answer a few questions. You'll be able to see Closer play in week three against the Boston Uprising on Friday June 1st at 12am and then the in form Dallas Fuel on Saturday at 9pm on Saturday June 2nd.